Alright ladies… here we go! We all know that ladies fashions change with the seasons (or even more often than that)! That’s why our supply of ladies boots are always changing. 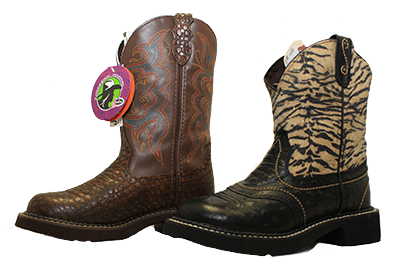 So, here’s a taste of the brands and styles of boots you’ll find here at Cowtown… come on in and see them all! ‘Western Performance’ and ‘Fatbaby’ collections as well as exotics. Heels ranging from the ultra low horseman’s heel to the ultra high fashion heel. Toes ranging from the super wide Fatbaby toes to the super narrow pinch toe. Lace up hiking boots also available. 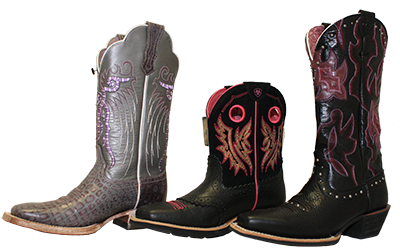 Western style boots, biker style boots, exotics, Silver Rebel collection. Heels from ⅞” to 1 ¾”. Toes ranging from the narrow pointed toe to the wide square and round toes. Available with and without spur ledge. Rubber and leather sole options. Sizes 5-11 C, select styles available in 2C width. 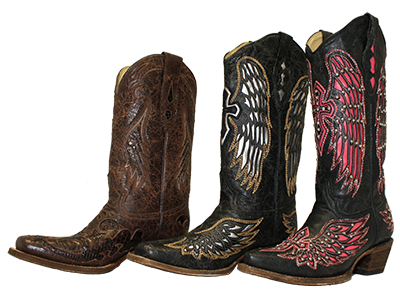 Western style boots, biker boots, Brahma collection. 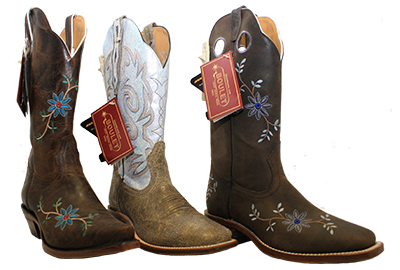 Roper, western and spur ridge heels. Narrow snip toe to wide square/round toes. Primarily the Justin Gypsy collection. Heels from 1 ⅛” roper heel to 1 ⅝” riding heel. Narrow round toe to wide square or round toes. 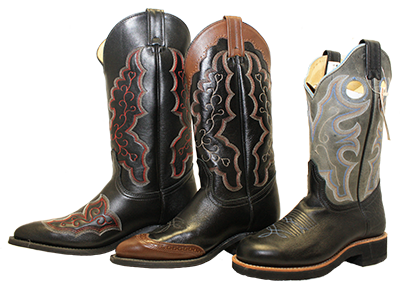 Variety of leather and synthetic (rubber) soles. 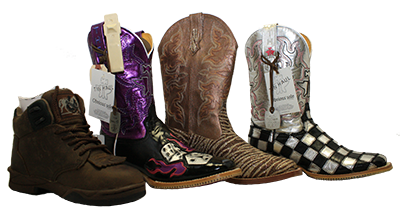 Sizes 5-11 B and select styles available in C width. Fashion heels (2 ¼”) and cowgirl heels (1 ⅞”). Narrow, square, snip or pointes toes. Many with soft mesh lining, some with leather lining. Narrow pointes, snippes or squared toes. Some tall or short styles available. 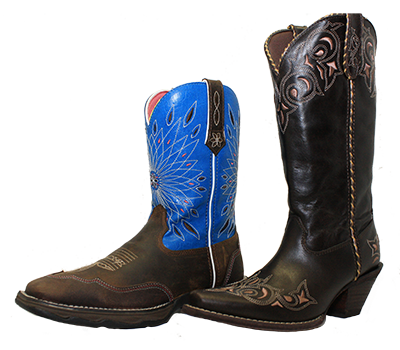 Western style pull on boots or lace up hikers and slip-ons. Leather and man made varieties. Tall, average and short uppers. Low walking heels to high fashion heels. Narrow pointed toe to wide round toe.